Here's "the storm!" 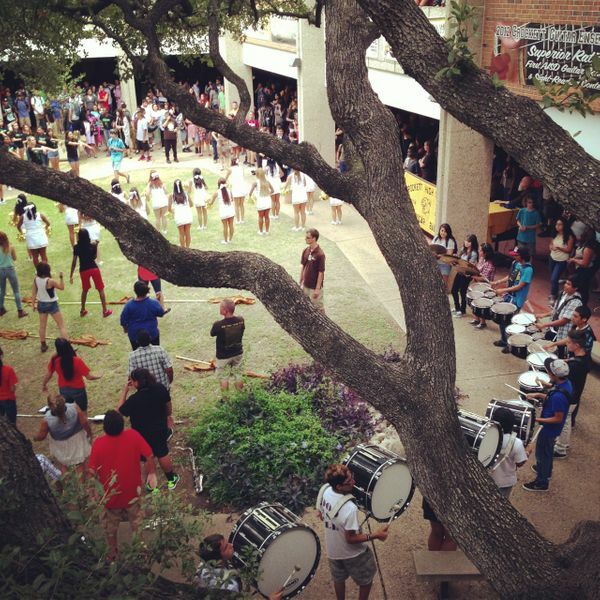 What was an empty courtyard on Sunday (Day -1) was transformed into a 1500 student pep rally, complete with participation by our very own superintendent, Dr. Carstarphen. The band sounded great, the athletes were pumped up, and the dance teams were well coordinated. Makes me wish I was back in high school again playing snare in the drum line (well.....almost)!